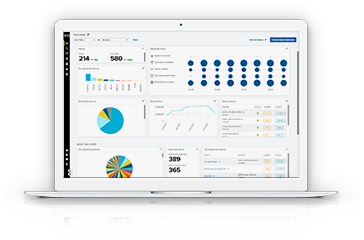 The AlienApp for Dark Web Monitoring is available to all USM Anywhere users out of the box, with no additional installation requirements. Simply enter your organization’s domain and up to ten additional personal email addresses. 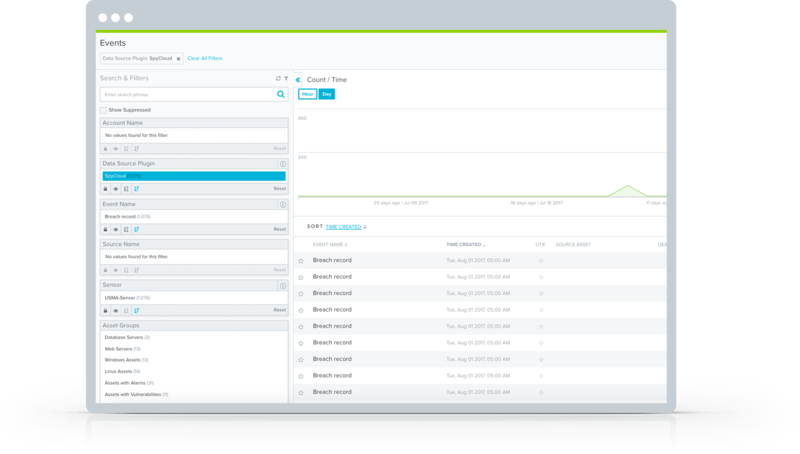 Once verified, monitoring starts automatically through SpyCloud. SpyCloud uses human and machine intelligence to monitor public, private, and covert sources on the dark web, gathering threat intelligence and identifying user credentials that have been stolen. This data is collected within USM Anywhere through the AlienApp. USM Anywhere generates alarms when the AlienApp detects your users’ personal or corporate credentials on the dark web, including information about the compromise and whether it is part of a publicly disclosed breach or from a private source. If the credentials were obtained from an infected machine (e.g. with a keylogger), USM Anywhere generates an additional alarm, so that you can take corrective action. Stolen user credentials found on the dark web can indicate that your organization, or an online service that your company or an individual employee uses, has been compromised and that you should take action. Cybercriminals traffic and purchase stolen user credentials to infiltrate your environment and steal your data, which can be difficult to detect until it’s too late. By monitoring the dark web for threat intelligence about stolen user credentials, you can be alerted as soon as the compromise is detected, giving you an early detection avenue, so that you can respond to stop a potential widespread data breach. Your executives and privileged users (such as IT admins) often have greater access to the systems, information, and sensitive data in your environment. If their personal email credentials are compromised, the attacker may be able to move laterally to gain access to other user accounts associated with that email address, or may be able to reuse the same user credentials to gain access to corporate systems. Thus, it’s important to monitor the personal email addresses of your executive and privileged users, in addition to their corporate email accounts. That’s why the AlienApp for Dark Web Monitoring allows you to monitor up to 10 individual email addresses outside of your organization’s domain, in addition to those monitored within the corporate domain. Compromises and data breaches can often be traced back to poor user password hygiene. Users often demonstrate poor security practices, especially when it comes to usernames and passwords of their corporate and personal accounts. They often use their corporate email address for personal accounts, reuse the same password across multiple sites, and rarely change them. This AlienApp helps you to safeguard your users’ credentials from compromise, despite their poor security hygiene. Today’s resource-constrained security teams must focus on threat detection and response, not on installing new security technologies to provide security monitoring. And, when you do introduce a new security technology, you want it to show results right away, especially if your organization is at risk from user credentials stolen or leaked in third-party breaches. With the AlienApp for Dark Web Monitoring, you can get started within minutes. It’s simple to set up, integrated in USM Anywhere, and free and easy to use. See the AlienApp for AlienVault in Action!